Based in the outskirts of Scotland’s largest city, Glasgow; Balmore Contracting are a specialist in industrial cleaning, difficult access solutions and pest control. If you would like to discuss any of our cleaning or access solutions, our team of experts are here to help. 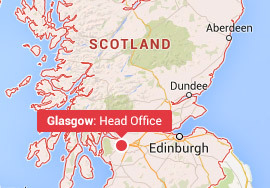 Call or email our Glasgow head office today. ..quick, efficient and very professional. Arrived promptly did exactly what they said they would do – I would definitely call them again. We were very happy with Balmores industrial cleaning services, thank you. The booking was smooth, quick and the staff that you sent were great. We will be calling your company again.